Harry Potter and the Sorcerer's Stone is one of the most celebrated books of all time for one simple reason...because it deserves to be! 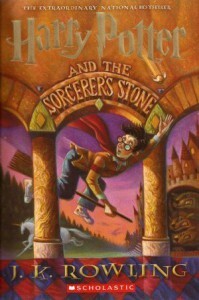 - After reading this, anything else you do may seem like a waste of time that you could have used to read Harry Potter again! Some books are worth reading once, this one is worthy reading many times! A brilliant adventure that anyone can enjoy!